The Bahujan Samaj Party (BSP) has said it will play a key role in the formation of the next government in Madhya Pradesh as it expects a fractured verdict in the November 28 assembly polls. Madhya Pradesh BSP president Pradeep Ahirwar said the party will vastly improve its tally and win 32 seats, and can even think of heading the next government. The state has a 230-member assembly. "Neither the BJP nor the Congress is going to get a majority. In this case, the Congress would support us to form the government in Madhya Pradesh," he said without elaborating. The Dalit party, which refused to enter into a pre- poll alliance with the Congress, is going it alone in the central state, where the BJP is in power since 2003. "We are going to win 32 assembly seats and create a record in our history of 34 years in Madhya Pradesh due to strong anti-incumbency wave against the BJP and Dalit unity," he told PTI in an interview. "The key to next government formation will be with Behenji Mayawatiji (the BSP president)," he said. "Our first priority is to form government in MP. We want Behanji to call the political shots in the state," Ahirwar said. The BSP leader ruled out backing the BJP post-poll. 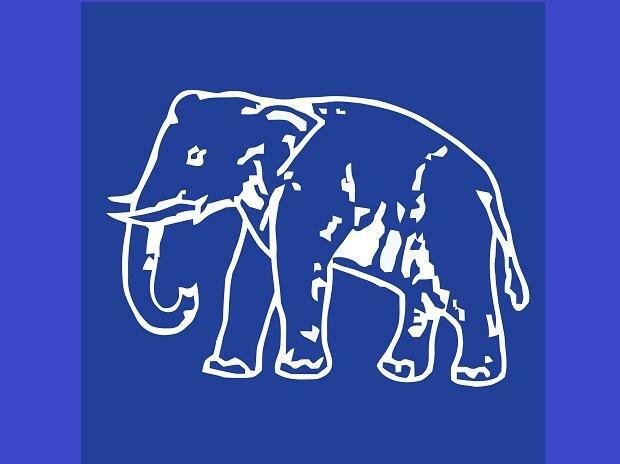 Ahirwar said Mayawati will address rallies in the state between November 18 and November 26. The former Uttar Pradesh chief minister will address three public meetings each in Rewa and Chambal divisions and one each in Bhopal and the Mahakoshal region, he said. Asked about Congress leader Digvijay Singh's remark that the BSP could not enter into an alliance with his party in MP due to the Centre's pressure on Mayawati, he dismissed the statement as a "total lie". "Whatever the former state chief minister (Singh) had stated was totally wrong. The BSP's history in MP is that it fights elections on its own strength. The Congress is going to pay a price in the polls due to Digvijay's comment," he said. Ahirwar said his party has pockets of influence in MP, where it won 11 assembly seats each in 1993, 1998 and two in 2003, seven in 2008 and four in 2013. According to estimates, Dalits account for 15 per cent of the population in Madhya Pradesh. "We are sitting pretty on 32 seats and in 75 other assembly segments our position is very strong," he said. "The BSP emerged strong in Morena, Rewa, Satna, Datia and Gwalior districts in the last assembly polls," he said. "We are going to open our accounts in Chhatarpur, Panna, Shivpuri, Sheopur, Damoh, Katni, Balaghat and Singrauli districts," Ahirwar claimed. The party's vote share was 8.97 per cent in 2008 which dipped to 6.29 per cent in the 2013 polls. He said the people in MP, especially farmers, are unhappy with the BJP government following the police firing on cultivators at Pipaliya Mandi in Mandsaur district that left six farmers dead last year. "The youth are peeved at lack of job avenues in MP. Vyapam, a massive admission and recruitment racket, had shattered their dream of getting government jobs," he added. In the last assembly polls, the BJP had won 165 seats, while the Congress bagged 58. Their vote share was 44.48 per cent and 36.38 per cent, respectively.